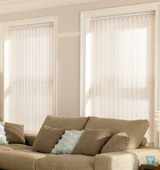 We sometimes find that the term window blinds is also sometimes used, somewhat inaccurately, to describe window coverings generically—in this context window blinds include almost every type of window covering, i.e. 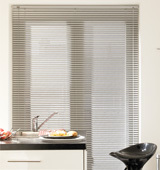 shutters, Roller Blinds, roman blinds and of course, vertical and horizontal blinds. 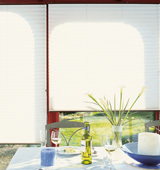 In Britain awnings are also considered blinds. A blind limits observation and thus "blinds" the observer to the view. 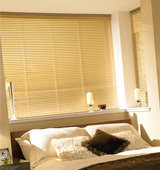 The main types are slat blinds which can be opened in two ways and solid blinds. 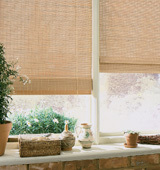 Window blinds reduce the heat from sunlight. 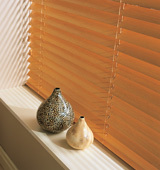 Ancient Egyptian pharaohs had blinds made of reeds. 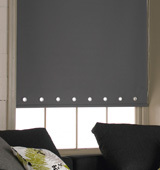 The most inexpensive blinds in the 1800s were home-made roller blinds, made of cloth. 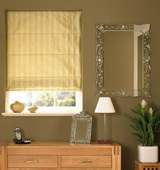 Today what once may of been called an inespensive Blind can make the whole difference to the finishing touches of any room. The Roller Blind as now taken off again in houses where a budget may be applied or the style and colours particually fit the scene.